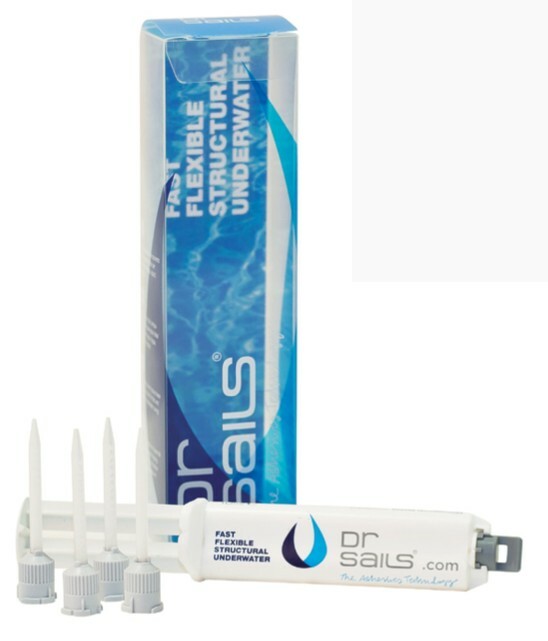 DrSails® is the ultimate emergency adhesive on board ideal for bonding a full range of materials: metals, wood, composites, tissues and plastics. DrSails® is a two-component fast and flexible epoxy based adhesive system capable to cure in the most extreme conditions, even underwater. Once mixed it reaches high strength flexible bond to almost every material performing high structurality. 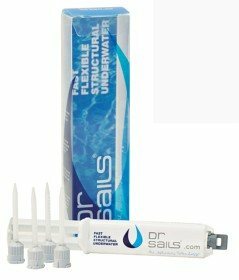 DrSails 10ml is the best format for Olympic classes enabling small, fast and precise applications. Its self-applying syringe and its static mixers permit to reach the most complicated bonding situations with absolute precision, homogeneity and security. The size is a plus for dinghy sailors as they can stock it on their small bags. • Four mixing nozzles. Static Mixers 10ml. • User instructions in 7 languages.